Hello stranger! nice to see you. You may have noticed that me and Beebz have been a little absent for the last 2 weeks! 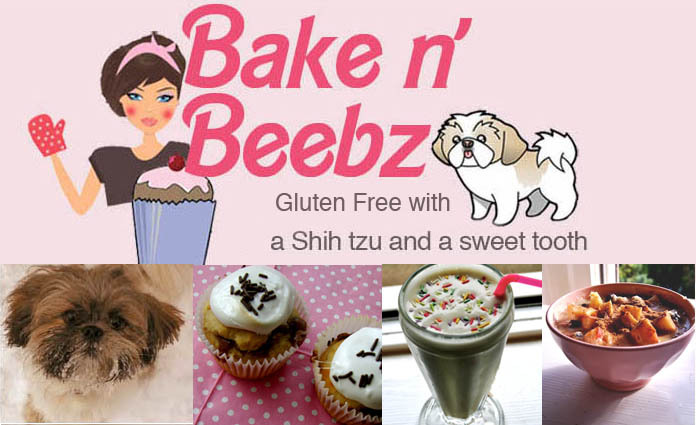 its been pretty hectic over here at bake n beebz HQ. lotsa work related stressing going on as well as taking on more hours, starting another new job and doing some design work, I kinda have neglected my oven and all things fun in general. Back in business and baked up some new Gluten Free sweet treats! recent tings & Giveaway winner! congrats Heather @ Kiss My Broccoli! Lookin' neat after a long old beauty parlour sesh with yours truly. really wanted to paint beebz's nails too but she'd already been through enough, poor shih... so i painted mine instead with my new pale blue Barry M Nail laquer. Also snapped up some Reeses cups in white chocolate. damn homie. best day for PB related stuff evhuuur. Getting in to my new pyjamas and poured some milk ready for these PB and white chocolate cookies, good night blogging world. I baked this batch of chew chewieeee delicious healthy cookies the other day, after a week of putting this post on the back burner... these pictures are bringin' back sweet, sweet tooth memories and i'm craving them like a mad woman. A spin on the original choc chip version and the the was the ginger nut... now in the trilogy, of the epic saga that is my cookie recipes I bring you... Butterscotch & white chocolate peanut butter cookies. Like always these are perfect dunked in to a cold glass full o milk. its hard to believe, ya'll think im saying but they are these are low cal and gluten free... they ain't the prettiest, I agree, but they are so damn tasty... and that what really matters, guys. What I ate Wednesday...pumpkin packed Halloweeny round up and giveaway! Whats sup, what I ate Wednesday. I'm going for the jugular and hitting ya straight up with my early breakfast, Oatmeal, cinnamon, PB and chopped apple. 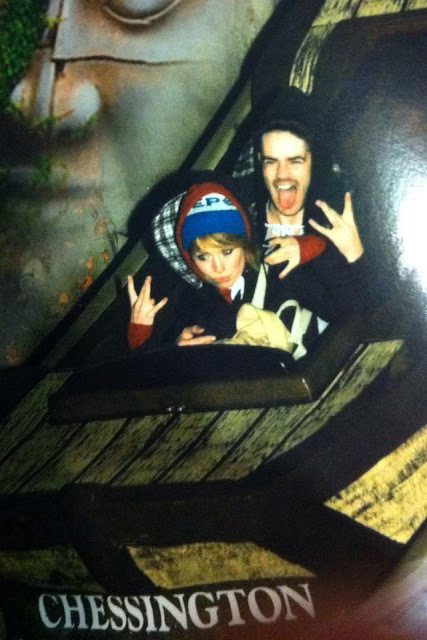 Me and Mr Bake n Beebz also rolled out to a theme park fright night at the weekend! The theme park was seasonally decorated with giant pumpkins and spooky bits and bobs. It was open late in to the night, thrill seekin' was pretty fun in the dark! It took all my will power to keep a straight face whilst this picture was taken, didnt think a log flume could be so petrifying. Annnnddd back to today... Lunch is served... Beetroot, Feta and spinach sammiched between gluten free brown seedy bread. such a good combo. Will review these very soon. After work I whacked on the oven and Roasted up some Pumpkin with nutritional yeast to accompany my dinner. Spinach, chick pea and vegetable curry with chutney and poppadom. nothing beats a crunchy poppadom and saucy spicy hot hot curry. Im in the the mood for pudding so once I hit the post button im gonna run wild and raid my chocolate stash... gawwwwd Wish i had gone trick or treating now for some candy... Do you think they would've given up their sweets to a 23 year old BIG kid? How was your halloween and what is the bestest thing you have eaten lately? let ya girl know. retweet giveaway... @aliceblairbakes and www.bakenbeebz.blogspot.com is holding a Nakd bar giveaway! good luck, competition closes Friday 4th of November at 5pm. As ever thank to jenn for hosting this week W.I.A.W!